Clare Hopkins is an artist who provides a profound expression of the beauty of nature. 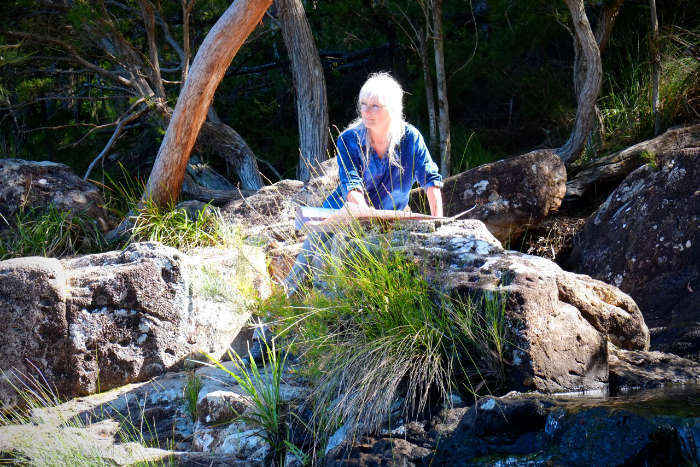 Through her intimate investigation into nature's capacity to connect, heal and empower, Clare's artwork changes herself, as artist, and those who witness her unique representations. She describes her artistic process as being guided through multi-layered imagery, to discover what needs to be present and what calls to be released, to come to a place where isolation and loneliness are resolved into peace and connection. 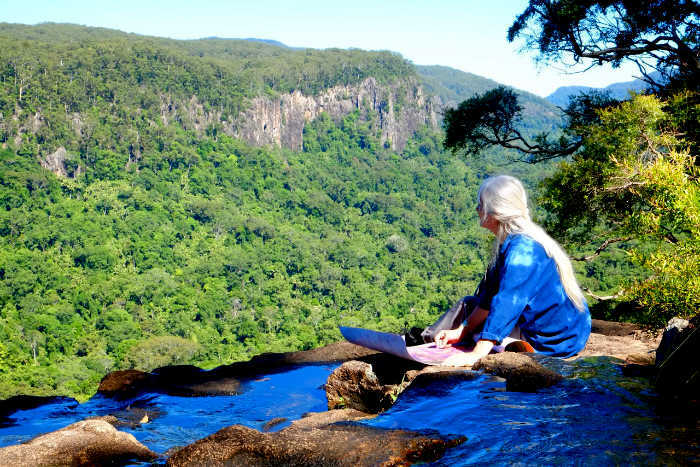 Clare holds a Visual Arts Diploma and a Transpersonal Art Therapy Diploma and has studied with a number of renowned Australian artists. She has also studied and worked in the field of Japanese painting, stencilling and decorative art in London UK, Boston USA, and Sydney Australia. Clare is co-principal of Colourmark Design , an interior design consultancy based in Sydney and Byron Bay fielding a commercial and domestic clientele across Sydney, Melbourne and Northern NSW.